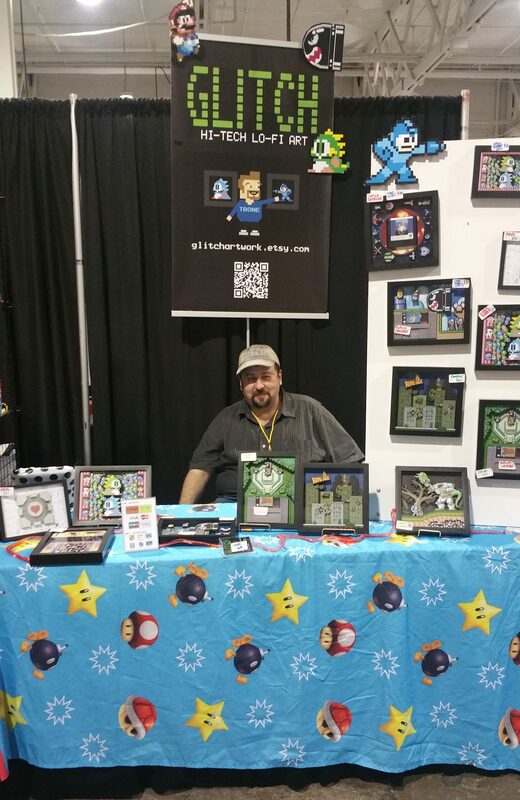 This past weekend, GeekPortal visited the Enthusiast Gaming Live Expo, held at the International Centre in Toronto/Mississauga. 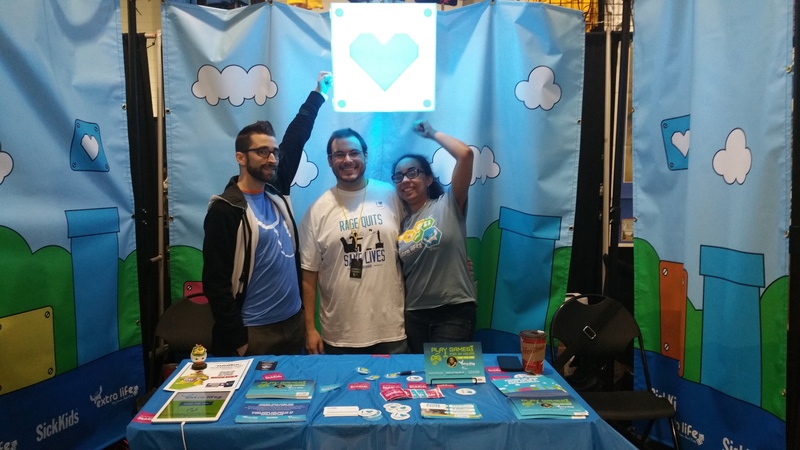 In it’s first official year, EGLX boasted a large array in indie game developers, tournaments and vendors. For the first year of EGLX, the expo held some exciting vendors in new age technology. The Minecraft & Microsoft booths were open concept, letting quite a few people play with the tech together. 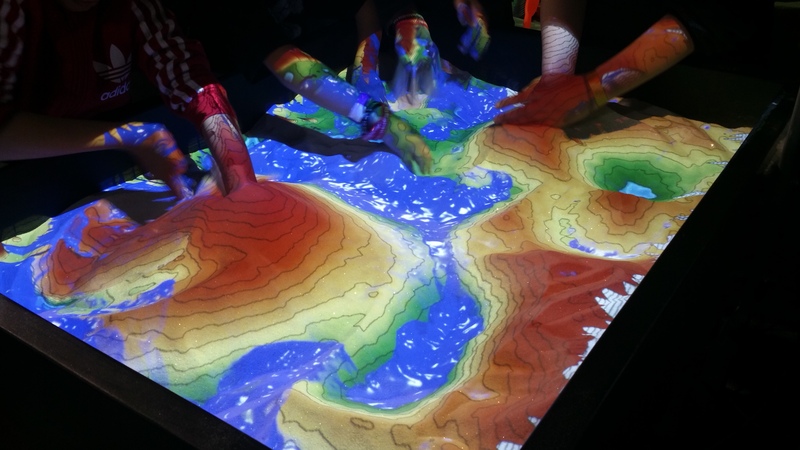 We were really impressed with Minecrafts virtual sandbox that was not only fun to play with, but educates kids on how maps define different levels of elevation from sea level to mountain ranges. Some of the other new tech vendors were a bit of a miss. The line-ups to try the Oculus Rift & Vive were very long and unfortunately the people running them were letting individuals try the gear on for 15-20 minutes at a time. With only one set of each in action, many people left the line bitterly disappointed due to the long wait time for these immersive experiences. We felt that it might have been better to have a few more headsets available to help with the hefty lineups. The Canadian indie developers really stole the show in our opinion, with games ranging from 4 player local coop to solitary adventures. 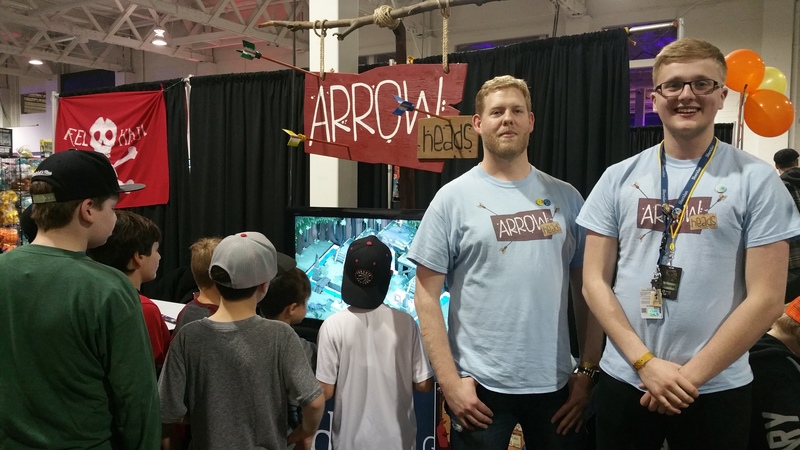 A few co-op games that really stood out for us were Arrow Heads by Odd Bird Studio, and Auto Age: Standoff by Phantom Compass, both had great game concepts and nice graphics. Solitary games that had us mesmerized included such as Lost Orbit by PixelNAUTS, and Pixel Jones by Hardcircle looked absolutely amazing. The vendors that were attending were top notch, from chain mail to props, even uniquely designed diorama artwork, like the store Glitch. They were all impressed with the amount of room they had to showcase their work. Unfortunately, since it was the first year for EGLX, there weren’t many vendors, so they were placed sporadically throughout the event, making shopping a bit more difficult as there seemed to be no designated areas specifically for shops. We had to work our way through twice in order to see everything, as we missed areas the first time around. We did spend a good deal of time at the Extra Life, a charity foundation that unites thousands of people through a 24 hour gaming marathon to support Children’s Miracle Network Hospitals. It was nice to see charities getting involved in gaming to make fundraising more entertaining. Now, we don’t want to miss out on the gamer competitions, from computer based gaming, to console. We can safely say that EGLX blew us out of the water with how organized and detailed their gaming competitions were. From Dota2 & League of Legends to CoD:Black Ops III and Street Fighter V, it was really great to see such a wide variety of tournaments offered. Sunday’s Super Smash Bros. was our favourite to watch as the crowd surrounding the players was very engaged, excited and loud! EGLX seemed more geared in general towards console gamers, so we would love to see more boardgame areas and more computer-related gaming tech (although we were really happy to see ASUS & MSI). In general though, the EGLX is a really solid show. Being it’s first year there are still a few things that could be improved, but it’s set the bar high for new expos and we cannot wait to go next year.